Aspen E5 Dual Electronic Flight Instrument – Lafayette Avionics, Inc.
Add to cart for lowest price. Glass with attitude and more for under $5,000. Don’t settle for a limited digital replica of your existing mechanical gauges. 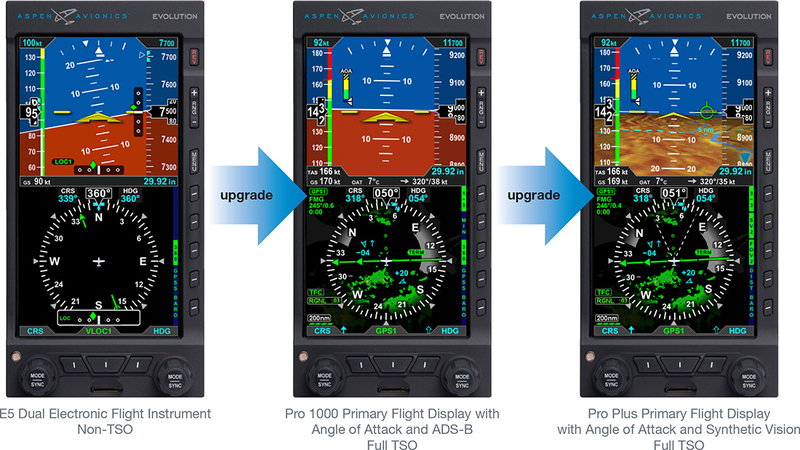 Harness the true power of a feature-rich glass cockpit system and upgrade your flying experience. Simplifying the transition from old-style vacuum gauges to electronic displays, the Evolution E5 is a drop-in replacement that gives you advanced functionality with easy and affordable upgrades that allow you to add additional capabilities and take advantage of future technologies without replacing your existing display. Always Configurable. Always Affordable. Always Upgradeable. * In most circumstances. Actual vacuum instrument removal will vary by aircraft.